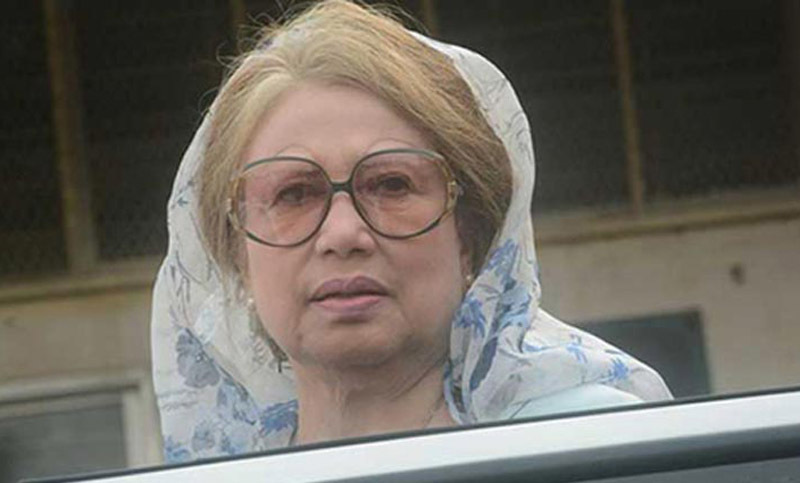 The Appellate Division of the Supreme Court on Thursday fixed Sunday for delivering order on a petition filed by the state seeking stay on the High Court order granting six months bail to BNP Chairperson Khaleda Zia in an arson case filed under the Special Powers Act in Cumilla. Attorney General Mahbubey Alam stood for the state while Advocate AJ Mohammad Ali represented Khaleda. Earlier on Monday, the High Court granted a 6-month bail to the BNP Chairperson following a bail petition in the arson case. Khaleda's lawyer filed a bail petition with High Court as the Cumilla court rejected the bail petition of Khaleda on July 25. Eight people were killed and 20 others injured when miscreants hurled a petrol bomb at a bus at Jogmohanpur in Chouddagram of Cumilla district during the BNP-led alliance's movement on February 3, 2015.